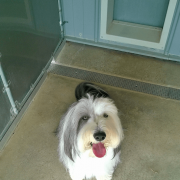 We provide a clean, caring and loving environment for your pet family. Stop by and see for yourself! If you wish to check on your pet, just call our facility and you will be given a first hand report. 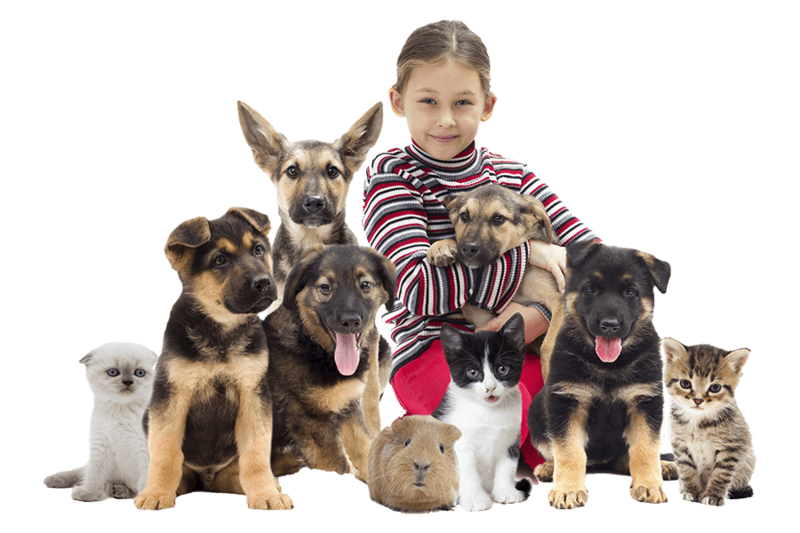 You will also have the peace of mind that a veterinarian is close at hand if need be. There are no hidden charges! 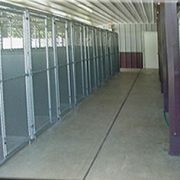 Our pet boarding facility is climate controlled with heated floors in the winter and air conditioning in the summer, and a staff that really cares. 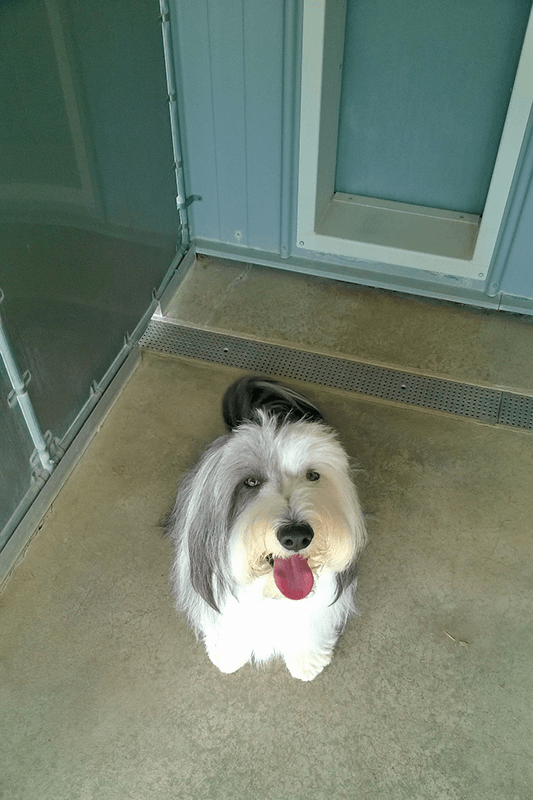 Your pets will enjoy their stay here with us, as they will receive the same love and care that you give them at home. The stay for both canine and feline is an atmosphere of love and concern, with daily brushing. 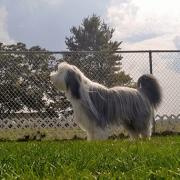 Dogs exercise 3 times a day in a fenced in grassy area. We offer different kennel sizes: small, medium, and large; with indoor/outdoor accommodations, weather-permitting. Vaccinations are the only requirements to board your pet(s). The vaccinations that we are requiring of you are for the health of your animal, those animals in the facility and the employees. We require all dogs to be current on Rabies, Bordetella and Canine Influenza DHPP, LEPTO vaccinations. All vaccinations must be current a week before boarding date. You may board two animals (dogs) in the same cage: the heaviest dog at its weight group and the second lighter animal at $14.00 a day. This can only be done if they can be fed the same food and eat and drink out of the same bowl. But! It needs to be understood that there is no one that is available between the hours of 6 at night until 7 in the morning, if the animals decide they no longer like each other. All vaccinations must be current a week before boarding date. We provide boarding accommodations for Rabbits, Birds and some other exotic animals. Please call and we will try our best to suit your needs. 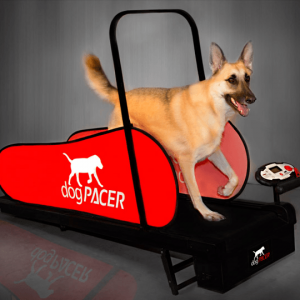 Has your dog tried our dogPACER treadmill? We would like to introduce you to a new way to keep your dog in shape. Our dogPACER treadmill can be used in the comfort of our temperature controlled training room. It is made especially for dogs. The track is extra long for our long legged dogs, enabling them to walk with a natural gait. There is a safety clip that attaches to both the dog and control panel which will disengage the machine if the dog steps off of the treadmill. The dogPACER is used in conjunction with our boarding or daycare programs, but you do not have to board with us to use it. We are currently offering half hour session for $5. Sign up for a monthly membership for $40, enabling your dog to use the dogPACER as much as you want. during regular business hours. Contact us for schedule and details.